The originality, style and precision...of an expert: Its beveled cap, its double rings guided in either 23 karat gold or chrome plate, all highlight the barrel finely lacquered with a wind-swept dune effect, in classic black lacquer, brushed chrome or matte black. The Waterman Expert is the perfect writing instrument for contemporary gift giving. Available in fountain pen, roller, ball pen, and ball pen/pencil set. Fountain pen standard nib size is medium; shipped with a bottle filling converter and one blue ink cartridge. Roller is fitted with black ink, fine point refill. Ball pen is fitted with blue ink, medium point refill. Pencil is fitted with 0.5mm lead. Customization available on Expert includes engraving or imprinting on the side of the cap, engraved monogram on the crown, die-struck emblem on the crown, printed clip emblems or die-struck clip emblems. Like a classic Sports car or antique armoire the elegant lines of Expert hint that it's Something Special. and a beautiful two-toned nib in Fountain Pens. Practical types will appreciate its superb Waterman Craftsmanship. Expert makes it the Perfect writing instrument for Gift Giving. Engraving on all Expert products produces a gold colored engrave that may contrast with the trim. Follow this link for additional die-struck finishes. Add $0.50 per color, per emblem for die-struck enamel color-filled emblems. *Shipment time from approved artwork or proof/sample in working days. On die-struck emblems, longer lead times may apply for quantities greater than 250 units. See page *** for additional die-struck finishes. 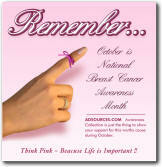 Add $0.50 per color, per emblem for die-struck enamel color-filled emblems. Two character, Century Double Line Block font. 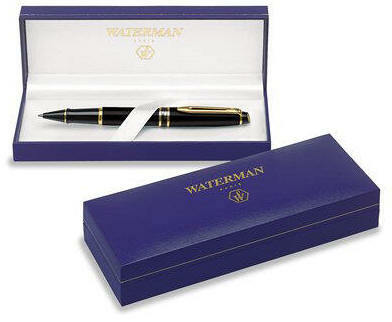 Waterman Expert comes packaged in a uniquely elegant gift box, which reflects the of the pen itself. Perfect presentations where a dramatic statement is in order. Your Waterman writing instrument is guaranteed against failures due to faulty materials or workmanship throughout the life of the original owner. If found to be defective, this Waterman writing instrument will be repaired or replaced when returned to Waterman or one of its authorized service centers throughout the world. Any product that is no longer in production and cannot be repaired will be replaced with a comparable Waterman product. Damage caused to products and fountain pen nibs due to impact or abuse is not covered by this warranty. This warranty is non-transferable. This warranty gives you specific legal rights and you may have other rights which vary from state to state, province to province, or country to country. This warranty does not affect your statutory rights. For Warranty Repair & replacements - Please contact the manufacturer / Waterman Directly.